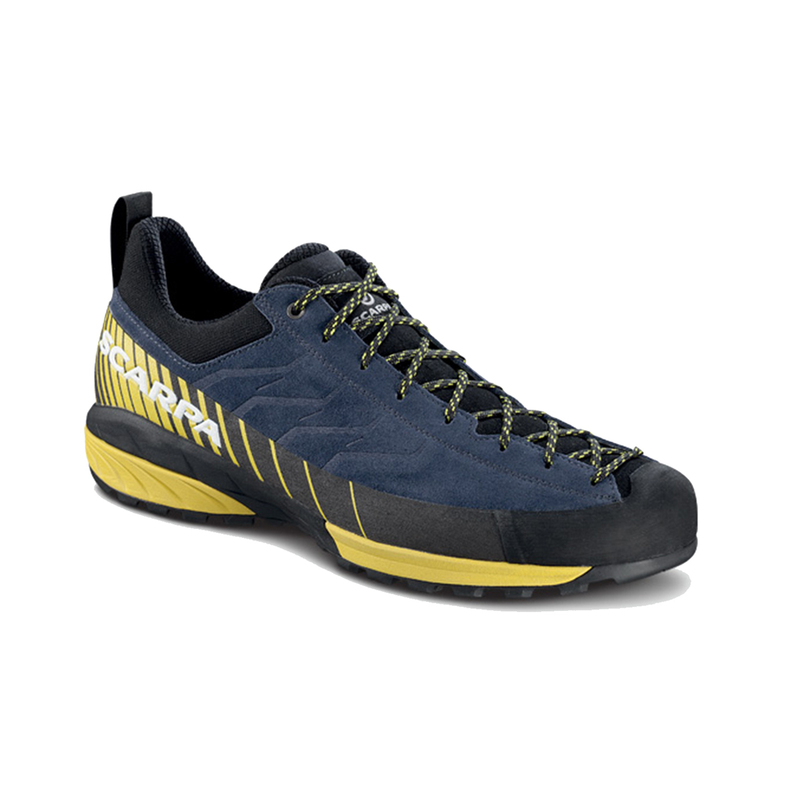 The Scarpa Mescalito Men's combines the support and protection of a mountain boot with the lightweight, nimble feel of an approach shoe, offering mountain guides a reliable alternative in situations where agility and support need to be balanced perfectly. It's 180 g lighter than its bigger brother, the Zodiac, and better suited to moving quickly. Features include the "HEEL TENSION SYSTEM" in the rear of the shoe which prevents torsional twists, much like a mid-length ankle boot would, whilst also increasing stability on steep, angled terrain. The Autofit Collar uses special, adaptable padding to reduce the the impact stress on the Achilles and malleous area, and the EVA midsole with differentiated thickness and density areas offers long-term comfort. These features on top of a Vibram® Megagrip sole, which offers high levels on grip on wet and dry surfaces, make the Mescalito ideal for any person seeking the light-footed feeling of an approach shoe with the protection and security of a mountain boot. • Vibram® Megagrip is a highperformance rubber compound featuring unparalleled grip on wet and dry surfaces, rugged longevity, and optimal ground adaptability.